Although Good Friday isn’t technically a holiday, some establishments choose to close early or close for the day as part of the Easter weekend. Because Friday isn’t a federal holiday, it can be difficult determining just what’s open. Are you wondering if your mail will be delivered, or if the post office is open on Good Friday? Here’s what you should know as well as some options through FedEx and UPS if you need to mail something over the Easter weekend. Yes, the post office is open on Good Friday. The USPS does not observe Good Friday or Easter, so mail services will be available Friday, April 19 and Saturday, April 20 as they usually are. Is the Post Office Open on Easter Saturday and Easter Monday? Yes, the post office is open on Easter Saturday and Easter Monday. Mail delivery is the same as usual for both the Saturday before Easter and the Monday afterward. Saturday services will be the same as they would be at your local post office any other Saturday. No, the post office is not open on Easter. The post office is typically closed on Sundays, and the Easter holiday is no exception. There will also be no standard mail delivery on April 21. 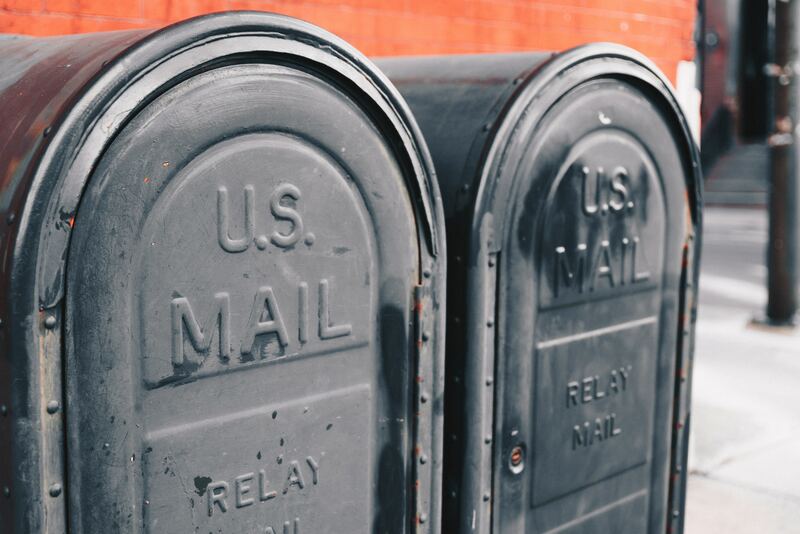 While the USPS will not be open Easter Sunday, it still may be possible for you to take advantage of basic postal services. More and more post offices provide postal machines which allow you to weigh packages, letters, and other mail, and get the appropriate postage for them. The services available during closed hours will depend on your local post office branch, but it makes sense to check and see. Those who need to send a letter or package on Sunday and don’t have access to a self-serve postal machine, FedEx or UPS may be an option. Is Federal Express (FedEx) open on Good Friday? Yes, FedEx is open on Good Friday. FedEx services are available on Good Friday. There might be modified service availability for FedEx Freight and FedEx Express, but otherwise, all services will be available as usual. Some services are unavailable Saturday and Sunday, so you’ll need to check before planning your shipment. Is United Parcel Service (UPS) open on Good Friday? Yes, UPS is open on Good Friday. You can expect the regular availability of UPS services on Good Friday and Saturday. However, on Easter Sunday, some locations will close. Is the Post Office Open on MLK Day 2019? The hustle and bustle of the new year can make it difficult to stay on top of upcoming holidays and events. Because of this, Martin Luther King Jr. Day often creeps up on people and finds them unprepared for the closings associated with a federal holiday. This year, MLK Day falls on January 21. If you’re thinking about using the day off to run errands, you may want to know is the post office open on MLK Day? No, the post office is closed on MLK Day. United States Postal Service employees are given every federal holiday off. This includes Martin Luther King Jr. Day. Is the Post Office Open The Weekend Before MLK Day? As usual, some post offices will be open on Saturday but all will be closed on Sunday. If your local post office branch is not typically open on Saturdays, it won’t be open the Saturday before MLK Day. Call USPS or visit their website to see the weekend hours for locations near you. Even if the post office is closed, you can still take advantage of other services available to the public 365 days a year. You will still be able to drop off packages and letters to be mailed. Most post offices also have a machine where you can buy stamps and other postage as well. If you’re unsure of what services are available at your post office, give them a call. Anything that needs to be sent on Sunday or a federal holiday may need to be taken to FedEx or UPS. Even these services aren’t available 365 days a year though. Is UPS Open on Martin Luther King Jr. Day? Yes, the United Parcel Service is open on Martin Luther King Jr. Day. UPS recognizes Martin Luther King Jr. Day, but the company doesn’t observe the holiday. All UPS services are available and the company will run as if it were any other typical Monday. Is Federal Express Open on MLK Day? Yes, Federal Express is open on Martin Luther King Jr. Day. FedEx treats Martin Luther King Jr. Day as a regular Monday, and provides their normal pickup and delivery service on January 21. If there is another local delivery service or parcel pickup that you’re wondering is open or not, give them a call to see if they are open on MLK Day. Is the Post Office Open Christmas Eve 2018? As Christmas approaches, and letters and packages need to get out, people begin to wonder if the post office is open Christmas Eve. Most people realize the post office is closed on Christmas Day, but aren’t quite as sure about Christmas Eve or the day after Christmas. Is the Post Office Open on Christmas Eve? Yes, the post office is open on Christmas Eve. The post office is open on Monday, December 24. Some post office locations might have limited hours the day before Christmas, but for the most part will be open. Note that it will be too late to mail anything in time for Christmas though. Is the Post Office Open on Christmas Day? No, the post office isn’t open on Christmas Day. Christmas Day is an official federal holiday. 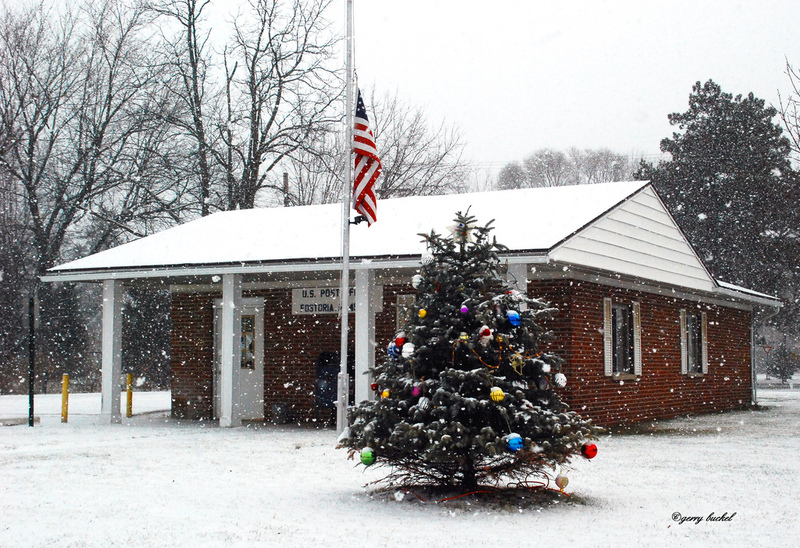 The post office is not open Tuesday, December 25, 2018. There will be no mail delivery and post office locations will not be open. Is the Post Office Open the Day After Christmas? Yes, the post office is open the day after Christmas. The post office will resume its typical weekday hours on Wednesday, December 26. The day after Christmas is typically a normal operating day for the USPS with post offices open and delivering mail to both your home and office during their regular hours. While post office branches may not have postal workers available to help you on Christmas Day, you can still perform some basic postal services on your own. For example, most post offices have a drop box for depositing letters and packages. You can leave them, but there is still no service until the next business day. More and more post offices are installing package postage weighing machines which allow you to calculate the cost of postage for your mail on your own. They may also allow you to purchase postage. Post offices with PO Box areas are usually accessible even when the post office retail area is not open. Availability is dependent on your local office and its services. If you aren’t sure which services are still available, contact your local post office to find out. Download a printable 2018 post office holiday schedule. The USPS isn’t the only game in town for sending out letters and packages. Below are the holiday schedules for Federal Express and the United Parcel Service. Is UPS Open on Christmas Eve? Yes, the United Parcel Service is open on Christmas Eve. The company will deliver ground, air, and international shipments as normal, but will only pick up the air and international shipments (no ground shipments). UPS is closed on Christmas Day. Is FedEx Open on Christmas Eve? Yes, Federal Express is open on Christmas Eve, but some offices may be open limited hours, and most of their office locations will close by 6 p.m. Contact your local FedEx office location to confirm their hours. FedEx is closed on Christmas Day, except for their FedEx Custom Critical service which will be open. Who Delivers on the Weekend? What About Sundays? Have you seen a United Parcel Service delivery truck making the rounds on a Sunday and wondered whether that meant that UPS suddenly expanded its operation to seven days a week? And does this mean other delivery services are going to try to compete by also offering Sunday deliveries? Here comes a rundown on who delivers what on which weekend days and how much it costs — starting with an answer to the first question above. Who Delivers on the Weekend? UPS delivers six days a week to the general population, and on Sundays the company only delivers for Amazon Prime. Only products that have the Amazon Prime logo next to their price listings on the website qualify. Membership in Prime now costs $99 annually and Sunday deliveries are included as part of the service’s free two-day delivery. That timing is based on when the seller ships your order, so to get a Sunday delivery, you’d have to purchase the product before the end of the day on Friday. UPS has one other option for Sunday deliveries: UPS Express Critical, which is actually available 365 days a year. The company puts your shipment on the earliest possible flight and charges you top dollar for it. With all the aforementioned delivery options, you need to specifically select Saturday delivery or a package might arrive the following Monday instead. UPS’ Saturday services also include pickup, but you have to request it special. UPS Saturday deliveries cost extra in some cities but not all. UPS drop boxes aren’t picked up on weekends. Generally speaking, other mail carriers and delivery services tend to have similar schedules to UPS — six days a week, but not all of them charge extra for Saturday. Here’s how the major players differ from one another on the weekends. The U.S. Postal Service doesn’t deliver on Sundays but does make the rounds on Saturdays — and doesn’t charge extra for it. Fedex delivers on Saturdays to 90% of locations, for a higher price than what it costs on weekdays. The specific services available that day are FedEx First Overnight, FedEx Priority Overnight and FedEx 2Day. There’s no Sunday service of any kind, however. The company delivers on Saturdays but you have to specifically request it and pay extra for the service — and it’s more expensive than any of its competitors. There’s no Sunday deliveries. Who Else Delivers on the Weekends? Most courier services offer weekend deliveries, and whether the prices differ from weekdays varies by carrier. This combined mobile app and delivery company operates every day of the year, and usually doesn’t charge extra for weekend deliveries. However, some of the participating retailers require minimum purchase amounts for the delivery to be covered by the monthly membership fee for Instacart or you get a $9.99 fee tacked on to your order. Additionally, theree’s an optional service fee charge of about $3.99 but you can waive it manually — but realize that then you’re taking money away from the employees. These companies that provide the restaurant version of the above all deliver on weekends for the same rate that they charge on weekdays. Keep in mind, however, that wait times might become longer on the weekend when most of these services become most popular. Similarly, most local restaurants that offer their own deliveries do very brisk business on the weekends — so you may have to wait longer. For similar reasons, they might also cut off well before the end of their operating hours. Nonetheless, as consumers become more accustomed to an deliveries of ever-wider assortment of products and services — and the ability to receive them faster and for more extended days and hours, it’s likely that more companies might jump into the fray and offer weekend deliveries including Sundays. Readers, what kind of things do you get delivered on the weekend? Which companies have given you the best service on the weekends? Is the Post Office Open on Martin Luther King Jr. Day? 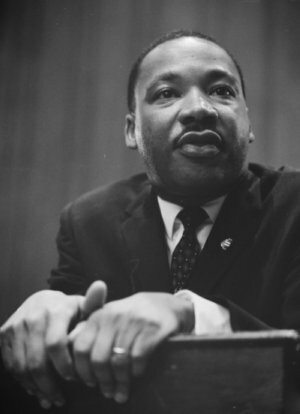 Martin Luther King Jr. Day is on Monday, January 15. It is the second federal holiday of 2018, New Year’s Day being the first. When there is a federal holiday, it can cause some confusion about what is open and what is closed. This is because federal holidays are not national holidays in the United States, so the openings and closings can vary from holiday-to-holiday. One thing people are usually curious about is whether the post offices are open or not. Well, since the post office is part of the federal government, they close on most federal holidays, but is the post office open on Martin Luther King Jr Day? No, the post office is closed on MLK Day. As part of the federal government, United States Postal Service (USPS) employees get Martin Luther King Jr. Day off from work. Post office branches will remain closed, and there won’t be any mail delivery on Monday, January 15. Is the Post Office Open on Martin Luther King Jr. Day Weekend? The post office is open on Saturday, but will be closed Sunday. Some local branches of USPS are open on Saturdays, some are not. If you are wondering whether or not your post office is open on Saturday, give them a call. There will be mail delivery on Saturday, as usual, however, the post office will be closed on Sunday, January 14, the day before MLK Day. Because post offices are closed on Sundays, there will be no mail delivery. Although USPS will close its doors Sunday and Monday (January 14 and 15), you can still take advantage of the basic postal services. Even when branches of the USPS are closed, there is a place where you can drop off letters and packages. You can also usually buy stamps or postage from a machine in the lobby of the post office. These services will depend on your local branch, but it is always good to check and see what you can do at your local post office just in case you need to use any of the self-service features in the future. However, there are other ways to send things out on federal holidays. If you need a letter or package to go out, you may want to consider using FedEx or UPS. Is Federal Express open on Martin Luther King Jr. Day? Yes, Federal Express is open on Martin Luther King Jr. Day. FedEx treats Martin Luther King Jr. Day as a regular Monday, and provides their normal pickup and delivery service on January 15. If there is another local delivery service or parcel pickup that you’re wondering is open or not, give them a call to see if they are open on Monday.